When protecting innovative three-dimensional designs, many often consider two distinct options: design patents or trade dress. Despite some popular misconceptions, these options are not mutually exclusive—in fact they can be complementary. But, budgets are limited, so it is important to understand the differences, as well as the advantages of each before making the decision. To explore these options, let's assume your company has a new fitness monitoring product that sticks like an adhesive bandage to the wearer's arm. 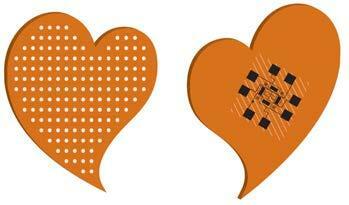 As you can see below, the fitness monitor is orange and features an asymmetrical heart shape. It contains a sensor on the back side that measures fitness activity including steps taken and calories burned daily. The sensor is equipped with Bluetooth technology enabling it to transfer an individual's daily fitness activity to a smartphone app. In addition, the sensor is ergonomically designed to contour to the human form. You have already filed utility patent applications for both the sensor technology and the sensor's ergonomic feature. What is your next step to best protect the design of this new product? Should you file for a design patent or trade dress registration? The answer could be either or both, but the choice depends on many factors, as we will see. Design patents and trade dress serve different purposes within IP law. The purpose of design patent protection is to encourage innovation by protecting the ornamental design for a product (known in the law as an "article of manufacture"). Many companies use design patents to provide a period of exclusivity when they can recoup their investment in the design. In contrast, trade dress, a subset of trademark law, serves two slightly different purposes: to protect property rights in a mark and to prevent consumer confusion. On one hand, trade dress also protects an owner's investment in the marketing of its product to create awareness of the design, and in this regard, this is similar to design patent protection. But, on the other hand, trade dress registration promotes consumer protection by allowing consumers to associate a product with a particular source and therefore purchase products with the confidence that the product desired is the product purchased. With the fitness monitor, your company may want a design patent to protect its investment in the design (including its consumer research) and to keep competitors from making substantially the same design without its permission. Likewise, your company may plan to promote the heart-shape and orange color of the product extensively, so it could benefit from trade dress protection to the extent that the public comes to associate these features with the source of the product. Design patents go through an examination process at the U.S. Patent and Trademark Office (PTO). There are no unregistered or common law design rights in the United States. An individual can, however, establish property rights in both unregistered and registered trade dress. Rights in an unregistered trade dress can be established at common law by adoption and use in commerce. An individual can also establish trade dress rights through a federal registration (with the PTO) or state registration. Design patent protection requires that the design be ornamental, new and not an obvious variant over any existing designs (known as the "prior art"). To be patentable a design must have some ornamental characteristics (as opposed to being solely functional), but because the underlying article is an "article of manufacture" that article has some type of function. The public use bar can prevent the acquisition of design patent rights. Public disclosure including that made by the inventor or an individual who obtained the subject matter from the inventor, made more than one year before the effective filing date of a design patent application, can bar any patent rights. So, it is important to act strategically and keep your patent rights in mind when you are promoting or demonstrating your monitor at trade shows or working with contract manufacturers as you ramp up production, because these activities will likely start the timer on the one-year clock. Under these circumstances, even though the fitness monitor has a function (monitoring the wearer's fitness level), products of this type clearly have many alternative designs (either in this case different shapes of adhesive monitors or the bracelet style monitors) so that the design of this monitor would meet the ornamental requirements for a design patent. So, if the overall design of the monitor is deemed new and not obvious over prior designs, then the PTO should issue a design patent. To be registrable, a trade dress must be used in commerce as a source identifier and be distinctive. Trade dress also has a functionality requirement but it is more strictly applied than for design patents. The trade dress for which protection is sought cannot contain any functional features. This additional functionality consideration is in place to avoid creating a monopoly on utilitarian subject matter that would ultimately be designated to the public under the patent regime. As opposed to design patents, public disclosure can be helpful to establishing trade dress rights. This is because in addition to being non-functional, you will need to show the PTO that shape of the product is distinctive, meaning that it has developed a "secondary meaning" in the minds of consumers. This means that consumers have come to associate the design with the source of the product, in this case, your hypothetical company. Developing this secondary meaning takes time and often registration will require evidence of ads suggesting that consumers "look for" the particular shape and color, as well as other media coverage of the design. Moreover, registration will likely be easier if the trade dress has been in use for five or more years. For our fitness monitor example, functionality considerations will help determine whether a trade dress registration may be appropriate for your product design. Recall that in addition to being orange and heart shaped, the monitor is ergonomically designed to contour to the human form. While the orange color and heart shape could be rendered aesthetically functional by the PTO, there is certainly room to argue that these features are not functional and therefore subject to trade dress protection. However, the PTO would likely view the ergonomic design functional and thus not subject to trade dress protection. This is particularly true because you filed a utility patent application claiming the ergonomic feature. As the Supreme Court explained in TrafFix Devices, Inc., v. Mktg. Displays, Inc., 121 S. Ct. 1255, 1260, 58 U.S.P.Q.2d 1001 (2001) (61 PTCJ 488, 3/23/01), claimed subject matter of a utility patent creates a "strong evidentiary inference of functionality" in the trade dress context. Therefore, if your utility application was to issue, it would be difficult, if not impossible to register the now patented ergonomic feature as trade dress. Nonetheless, the ergonomic feature of the adhesive monitor could still be protected by a design patent. In any event, waiting until the design has been in use for five years may make registration substantially easy, as well as give your company time to build secondary meaning through the ads and media coverage. While different, design patents and trade dress can work together quite well. Like utility patents, design patents have a limited term, usually 15 years from the date the patent issues. Trade dress protection, however, can last as long as the design is being used in commerce, which theoretically could be forever. So you can start with design patent protection and finish with trade dress protection. Further, the two types of protection can exist simultaneously, so it can make sense to secure design patent protection, so that you can develop your trade dress rights without interference from your competitors during the intervening decade and a half before the design patent expires. In crafting your protection strategy, you could consider applying for slightly different scopes of protection. For instance, your design patent could be filed as shown below (in black and white) so as to preserve your rights in the design in any color. But you could still file for the trade dress registration including the orange color, since the color would likely help secure the trade dress registration. With this in mind, if you anticipate that your adhesive fitness monitor will be a flagship product for your company, and you wish to protect this product design for as long as you stay in business, trade dress could allow you to protect this design for the lifetime of your business. But, you might need the design patent to protect your product while the trade dress rights mature. Now that you have the rights, there are important things to know about when and how to assert those rights. In some circumstances, it may be more appropriate to assert design patent rights over trade dress rights or vice versa, however, it may be in a patent owner's best interest to assert both. Asserting design patent rights is beneficial because in many cases an individual can acquire a design patent faster than a trade dress registration. As noted above, trade dress of a product design requires a showing of secondary meaning. The presumption of secondary meaning occurs after five years of use in commerce while a design patent application under accelerated examination can register in a matter of months. Accordingly, an inventor who secures a design patent in addition to filing a trade dress application, contingent on the development of secondary meaning, can immediately file for a preliminary injunction once the expedited design application issues. But, an inventor with a trade dress application but without a design patent is not left without protection. Secondary meaning can be shown before the five years through consumer surveys, but surveys are expensive and take time, so they may not be an option for a startup or smaller companies. Asserting trade dress rights can also be beneficial because it may be easier to show trade dress infringement than design patent infringement. Trade dress infringement requires a showing of a likelihood of confusion, while design patent infringement requires a showing that an ordinary observer would find the two designs in dispute are substantially the same. Likelihood of confusion is a lower standard of similarity than substantially the same because "likelihood of confusion" does not require a degree of "sameness," but rather considers whether their likeness is likely to cause consumer confusion. The likelihood of confusion standard, however, is typically demonstrated with consumer evidence, whereas, the ordinary observer test is typically supported by an expert witness. The latter is usually quicker and less expensive than a consumer survey. With the fitness monitor, suppose a competitor develops and promotes an adhesive fitness monitor, similar to your company's, with minor variations in the monitor's shade of orange and heart design. If possible, you could secure rights in both of these IP forms, to protect your fitness monitor design as broadly as possible. In establishing both a design patent and trade dress rights you can immediately file a case and secure a preliminary injunction upon finding knockoffs in the market. If it looks like your case will not settle, you can then invest in a consumer survey to establish secondary meaning in preparation for litigation. 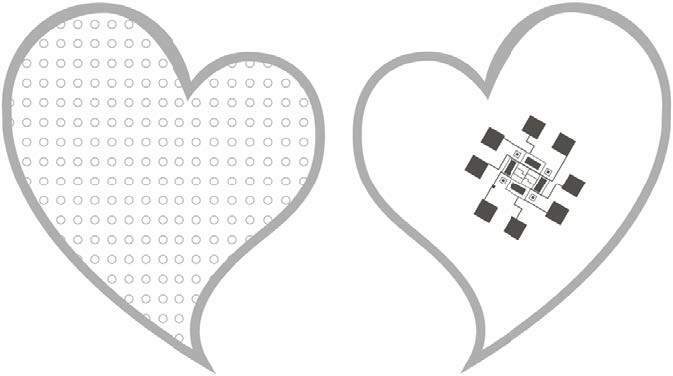 Then, in the event that you cannot prove that the two designs are substantially the same, or if validity issues arise with your design patent, you can rely on the trade dress portion of the case, here the heart-shape and orange color of the product design, as a fallback position. Finally, it is important to consider monetary damages. A patentee may seek to recover lost profits, reasonable royalty, as well as the infringer's total profit on the sale of the infringing article, but there is no double recovery under more than one theory. In comparison, an owner of a trade dress registration can seek to recover the infringer's profits, any damages sustained by the plaintiff and attorneys' fees. The profit margin in which a company operates can determine which damage award would be the most rewarding. A low profit-margin business might best benefit from design patent damages. Design patent damages include a reasonable royalty which could produce a higher award than the loss profits of a low-margin business. Likewise, it is important to consider if the accused infringer is selling its knock-off products at a much lower price or even giving the articles away for free. Conversely, a high profit-margin business might benefit from the damages structure of either trade dress or design patents. You have two forms of IP, trade dress and design patents, to consider when looking to protect your adhesive fitness monitor. As explained above, these two types of protection are different, but in many cases complementary. When possible, it may be best practice to secure both a design patent and trade dress registration to better protect your innovation. If, however, your budget is limited and you are within the time bar, then opting for a design patent might be the best course of action, because it may be easier to obtain and enforce. If not, then trade dress rights may be your best bet. Reproduced with permission from BNA's Patent, Trademark & Copyright Journal, Vol. 90, No. 2777, 07/31/2015. Copyright © 2015 The Bureau of National Affairs, Inc. (800-372-1033) www.bna.com. This article is for informational purposes, is not intended to constitute legal advice, and may be considered advertising under applicable state laws. 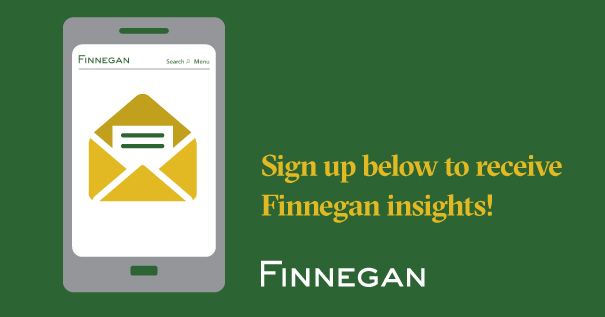 This article is only the opinion of the authors and is not attributable to Finnegan, Henderson, Farabow, Garrett & Dunner, LLP, or the firm's clients.